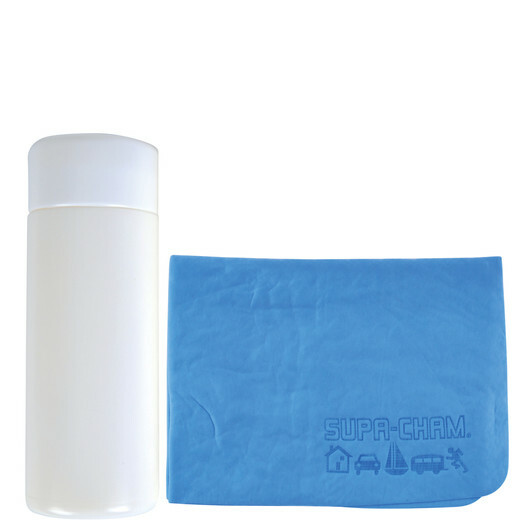 A synthetic chamois towel that provides the best possible liquid absorption in the most safest and gentlest way to dry and polish fine finished surfaces. This synthetic chamois towel will quickly become your best friend as a car towel or kitchen cloth. It is pre-wet with rounded corners packed in 2-piece white PVC tube. 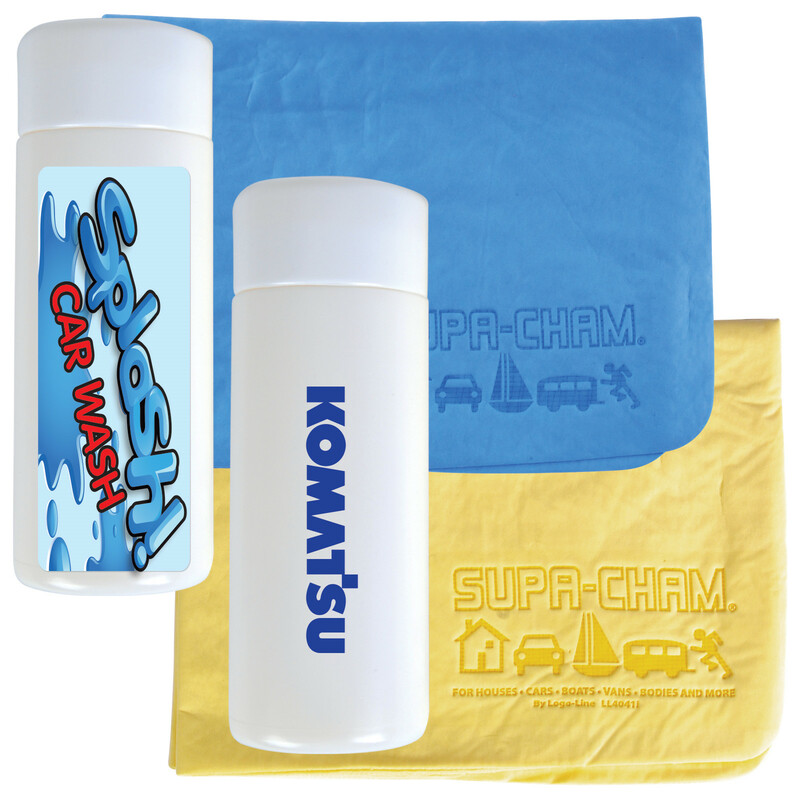 Chamois supplied with "Supa Cham" debossed logo as standard. 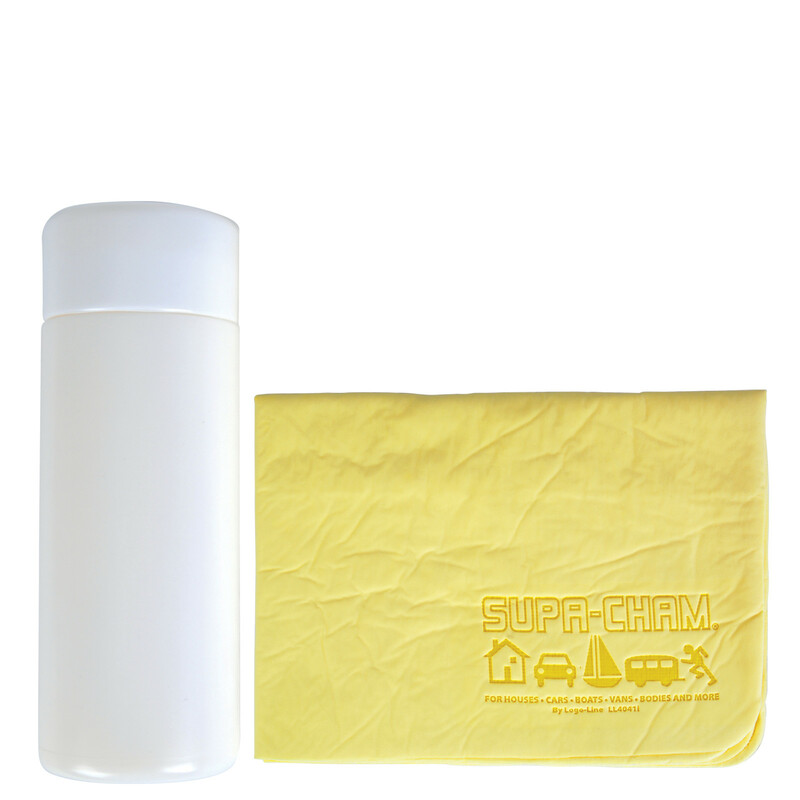 Store Supa Cham in tube when moist/ damp to ensure longevity and reusable application on cars, boats, vans and bodies.